As car advertising goes, India is really in a very nascent stage of creativity. Sure, there were a few good ones from Volkswagen and Tata Motors, but presently the situation is nullified thanks to the flying i20 and tyre smoke fragrance of the Skoda Laura VRS. Thankfully, Audi India has presented a foot-tapping sound track for promoting the Audi Q3 to improve the unbalance the equation. The track patronizes the youth of the country which evidently the Q3 targets. The composition is very catchy and targets the aspirations of the youth in India. 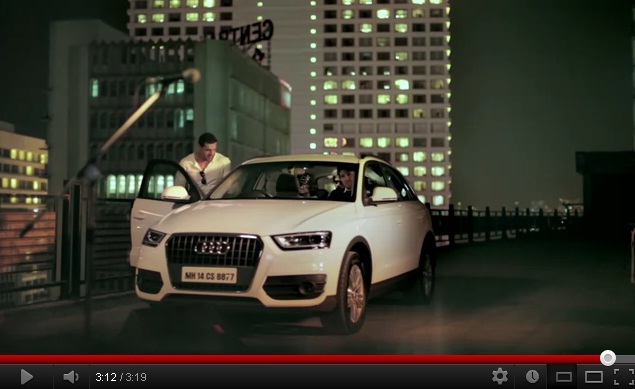 The ladies heartthrob John Abraham plays a small cameo in the video. We don’t know which band plays the song. But whoever you are, where ever you are, you definitely deserve a pat on the back!